The U.S. bank prime rate remained at 3.25 percent throughout the second half of May. After a somewhat conflicted and confusing start to the month, credit card rates settled down in the second half of May, with no changes in any of the credit card offers tracked by this survey. However, the potential is there for more movement -- and possibly more conflict -- in credit card rates during the months ahead. What was unusual about the first half of May was that the average business credit card rate fell while the average consumer rate rose. Both categories settled down in the second half of the month, and along with the student category, stayed at the same level as May drew to a close. What could next spark a move in credit card rates, and in which direction will they go? Inflation has to be a chief suspect. Inflation has been very tame in recent years, but the pace of inflation has increased over the past two months, reaching 0.3 percent in May. That projects to a 3.6 percent annual inflation rate, considerably more than the 2.0 percent inflation experienced over the past year. The only redeeming thing about this inflation trend is that it may be a sign of an improving economy, since it coincides with a period when job growth has been gathering steam. If this is simply a normal amount of inflation in response to stronger employment growth, the offsetting factor for credit card rates could be improving credit conditions. As more people go back to work and wages strengthen, credit card companies can feel more confident about extending credit, and thus might feel less pressure to raise rates. It is possible that the inflationary pressures and improving credit conditions that go with a strengthening economy will simply cancel each other out, leaving credit card rates more or less where they are. It is also possible that those conflicting influences will create more volatility in rates, causing different card categories and even different issuers within the same card category to make opposite rate decisions. That kind of volatile market would make it especially essential for credit card customers to keep a close eye on rates. With no change in rates for consumer non-rewards or rewards credit cards, the spread between the averages for the two categories remained at 2.35 percent. Of the two categories, consumer non-rewards cards have been more stable, with no changes in rates since last July. Meanwhile, the average for consumer rewards credit cards has fluctuated both up and down. Over the past year, the spread between the averages for these two categories has ranged from a low of 2.16 percent to a high of 2.47 percent. The average interest rate on student credit cards was unchanged, at 17.56 percent. With many college students wrapping up the school year and returning home for the summer, this would be a good time for parents to review their children's card usage and payment habits with them. Business non-rewards and rewards credit cards were both unchanged in late May, leaving the spread between the two categories at 0.32 percent. While the overall average rate for consumer credit cards was 17.12 percent, the average for customers with excellent credit was about four percentage points lower. 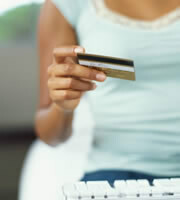 Customers with excellent credit should use that lower rate as the benchmark when shopping for credit card deals. 0 Responses to "Credit cards unchanged in the face of conflicting forces"